Canadian lawyers for Huawei CFO Meng Wanzhou allege that the US's campaign to extradite the daughter of the telecoms giant's founder has "the cloud of politicization hanging over it." And this, her legal team believes, might be a way out. In an interview with Canadian newspaper the Globe and Mail, Meng's legal team revealed that their defense of the Chinese executive will rest on the idea that the US is attempting to abuse the extradition process for political purposes, echoing Beijing's accusations that the US has turned Meng into a political pawn. 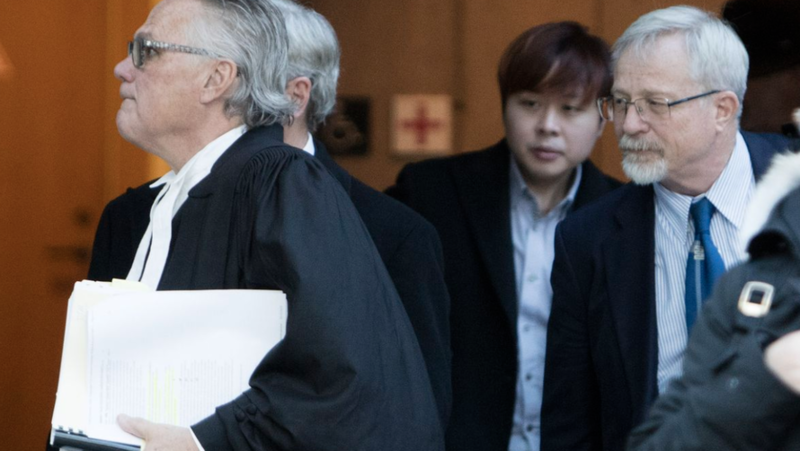 The defense's argument will also rely heavily on comments made by John MacCallum, the former Canadian ambassador to Beijing, who was fired last month after saying that Meng had "a strong case" to fight extradition. But given the "political overlay" in the Meng case (which is obvious to all despite US officials' insistence that the US's crackdown on Huawei is "totally separate" from the ongoing trade spat), lead counsel Richard Peck believes there's a strong defense to be made. Peck, who has been practicing law in Canada for more than 45 years, said he believes the case is more politicized than that of former Chilean dictator Augusto Pinochet, whom Spain sought to extradite from the UK more than 20 years ago. "He [Mr. McCallum] mentions some of the potential defences – and certainly, I think any person that knows this area would see the potential for those defences arising," Richard Peck, the lead counsel for Ms. Meng, told The Globe and Mail in a telephone interview from his Vancouver office. "The political overlay of this case is remarkable. That’s probably the one thing that sets it apart from any other extradition case I’ve ever seen. It’s got this cloud of politicization hanging over it." Canada's extradition act explicitly states that extradition requests are not to be made for political purposes. However, even Peck admits that the bar for these requests is "very low", with the requesting government only needing to prove evidence of criminality - that is, enough evidence of wrongdoing to warrant a charge. Meng's legal team is also looking at a defense based on the concept of double criminality - that the crimes alleged by the US (i.e. lying to banks to facilitate violations of US sanctions) would be considered crimes in Canada. The question being raised by commentators in the media, Mr. Peck said, is, "'Is this case really about this allegation against the client or is it bigger than that – is it more of a politically driven case?' That could form in theory part of an abuse-of-process argument." Each member has been assigned a task, Mr. Gottardi explained. “One person might be looking at double criminality [whether the charges would be crimes in Canada]. Someone else is looking at the political character aspect and some of these other issues people have talked about in the media, like Ambassador McCallum. I’m trying to run those issues to ground right now, and bring them back to the group to decide which ones will be viable going forward." But in this case, Mr. Gottardi said, "we’ve got quite arguable factual issues that go to some of the core principles of the Extradition Act. Whether or not the essence of the conduct that we’re looking at, which is tied into sanctions violations, is even illegal in Canada." However, in what might seem like a gift to Meng's legal team, President Trump said that he wouldn't hesitate to intervene in Meng's prosecution if it could help facilitate a trade deal with China, lending an unmistakably political tinge to the process. The significance of this remark - as well as the timing of US indictments against Huawei and Meng, which were handed down just before the start of the latest round of trade talks - has not been lost on Meng's legal team. "Some of the comments by the executive of the United States we have to look at very closely in terms of how they impact the fairness of the Canadian extradition hearing and how easy it will be for Canada to adhere to the rule of law," Mr. Gottardi said. "Looking at the press conference and the indictment and starting to gather evidence in the United States and Canada, we’re starting to get the sense that this isn’t a run-of-the-mill prosecution."